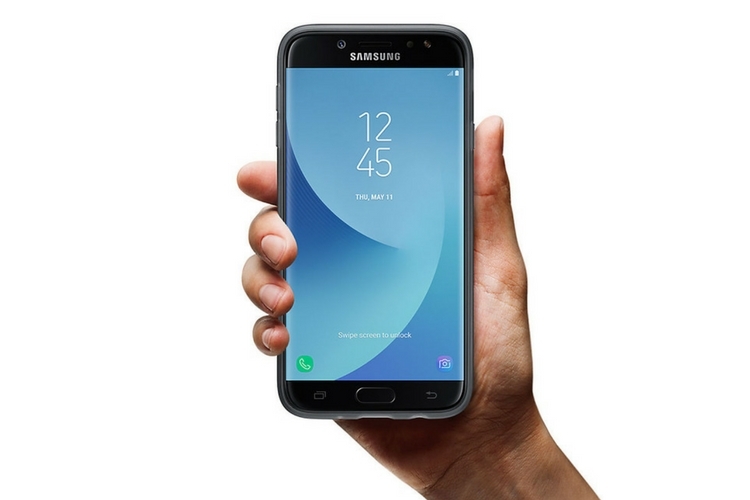 Samsung launched Galaxy J2 (2017) a couple of months back. The device entered the market with so-so specifications, however software features such as S-Bike mode made it a compelling package in Tier-2 and Tier 3 Indian cities. Looks like Samsung loved the reception for that phone and is now gearing up to launch a successor called the Galaxy J2 (2018). The company’s Russian website has briefly listed a few details about the smartphone and compatible accessories, though it’s not officially unveiled. We can see the device posing for photos in multiple angles, which confirms that the new variant will have similar aesthetics to the last year’s Galaxy J2. The home button on the front is accompanied by two capacitive keys on either side and the front view also confirms the existence of a selfie LED flash as well. The rear side hosts the primary camera sensor with an LED flash and a loudspeaker grill, and lastly, the images also point to the presence of 3.5mm audio jack. The cases will apparently be available in black, white, blue, gold, and pink variants. The listing neither reveals any details about the availability or prices. 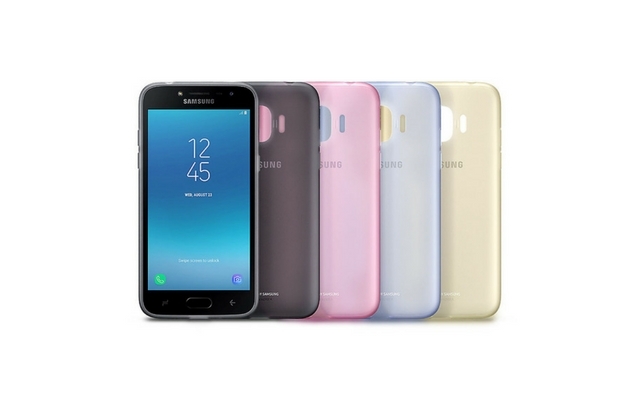 According to a Russian retailer listing, the Galaxy J2 (2018) with model number SM-J250F will be available with a price tag of RUB 7,990 (roughly Rs. 8,860). Comparatively, this price is a bit higher than last year’s Galaxy J2 (2017) that went on sale in India at Rs. 7,390. Also, if the listing is anything to go by, the device is said to be powered by a Qualcomm Snapdragon 425 (MSM8917) SoC with a quad-core 1.4GHz CPU and 1.5GB of RAM. The Galaxy J2 (2018) is also said to sport an 8-megapixel rear camera sensor with an LED flash and a 5-megapixel front camera sensor. In fact, the site also confirmed that the new variant would come with 16GB expandable storage and 4G VoLTE support.